May you find great value in these inspirational Dreams Do Come True Quotes from my large datebase of inspiring quotes and sayings. fan and now my dreams have really come true. My office is at Yankee stadium. in the World Series and being mobbed by my teammates. Well, I guess all my dreams didn't come true. and that true reality is only in dreams. Dreams must be heeded and accepted. For a great many of them come true. Winners, I am convinced, imagine their dreams first. They want it with all their heart and expect it to come true. There is, I believe, no other way to live. speak English and never had a music lesson or much of an education. You'd better be careful what you wish for. just in the right way, to allow you to make your dreams come true. And you know, someone has all that under control. dreams that would be so beautiful if they could come true. 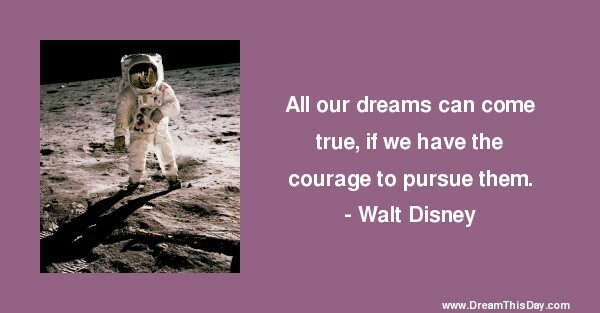 Thank you for visiting these Quotes about Dreams Coming True - Dreams Come True Quotes.